A chilling new suspense novel in the critically acclaimed Louis Kincaid series! First Kincaid discovers he has a daughter he never knew. Then she leads him to fresh evidence in a decades-old murder case that threatens to claim new victims. 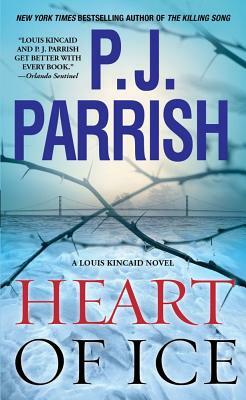 Detective Louis Kincaid cracks a murder case frozen in time in this new work of “crime fiction at its finest” (Lee Child) from bestselling author P. J. Parrish. Florida PI Louis Kincaid wants to wear a badge again. But before he can, he must return home to Michigan— and some unfinished business. He hopes to bond with ten-year-old Lily, the daughter he only recently learned existed, and reunite with girlfriend Joe Frye. But new clues to an unsolved murder put his plans on ice. A trip with Lily to enchanting Mackinac Island turns grim when the child falls on a pile of old bones; the dangerous discovery reopens the cold case of Julie Chapman, a teenager from one of the wealthy summer families, who vanished two decades ago. And when Louis is forced to cooperate with a tough state investigator who once worked with Joe, tensions skyrocket. Now, what was supposed to be a time of building lasting ties splinters into disturbing fragments, personally and professionally, as Louis pursues a mystery entangled in dark family secrets and twists even he can’t predict.